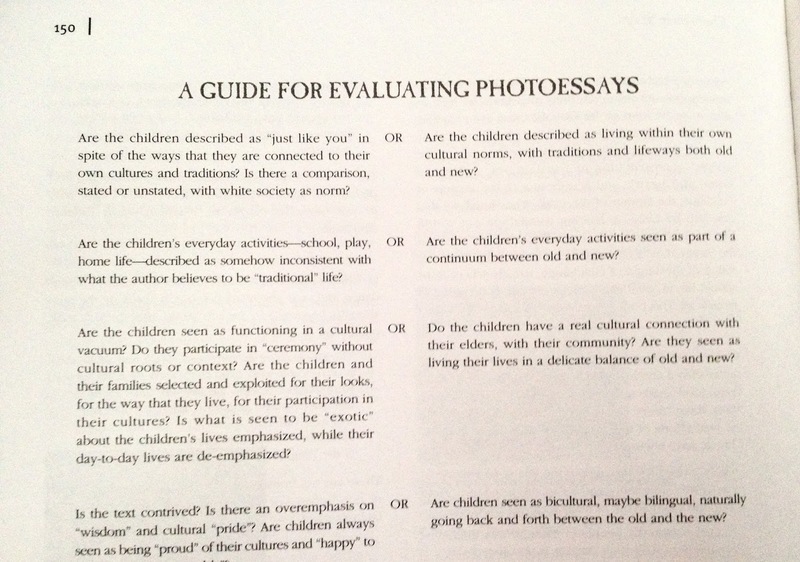 People write to me asking about the merits of this or that nonfiction book or series, which one(s) I recommend, etc. Keeping up with them, and/or writing a comprehensive review is daunting, and something I have not done. 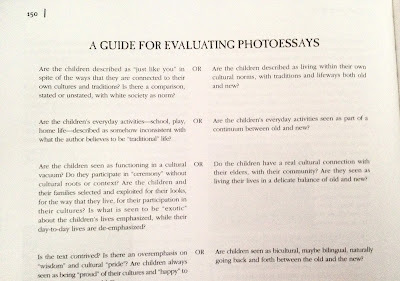 A lot of nonfiction has photographs that I like. 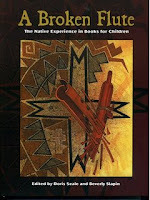 For example, Marcia Keegan's books (listed below in the not recommended section) are about Pueblo people. I like the photos! The captions... not so much. I'm pretty sure Pueblo kids would like those photos, too, and I'd love to sit with them and write new captions for the photos. Maybe we'd use a Sharpie! And we could re-write problematic text, too! That would be an excellent activity, showing them that books have errors--that, in this case, the kids know more than the author... that books are not perfect. In A Broken Flute: The Native Experience in Books for Children edited by Doris Seale and Beverly Slapin, you'll find a section titled "Reviews: Photoessays of Indian Children." I strongly encourage you to buy A Broken Flute and read the reviews in their entirety. You'll learn a lot from studying those reviews. That study will help you in your collection development (decisions on what to get/what to weed) in the future. Here's my sorting of the reviews into three categories, recommended/recommended, but some parts uneven/not recommended and in two parts. First are books that stand alone, and second are books in a series. Brown, Tricia. Children of the Midnight Sun: Young Native Voices of Alaska. 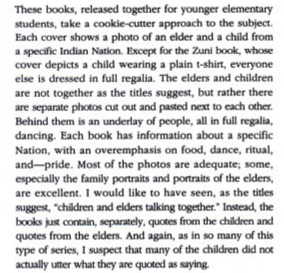 "My World: Young Native Americans Today"
"The Library of Intergenerational Learning: Native Americans"
I am always grateful to readers who write to me. Sometimes they write with a question. Sometimes they write to thank me for a review. Sometimes, they send me something to take a look at. This morning's mail had one of the later. Tricia wrote to tell me about a page in Babar Comes to America. As I read her email, I remember seeing that book in a bookstore and snapping a photo of the page she sent to me. I'd lost track of it and am grateful to Tricia for sending it along so I can include it in AICL's Foul Among the Good page. To source this new title about America, de Brunhoff and his wife were invited to the United States in 1963, with expenses paid by the American publisher and several American companies who are acknowledged in the text and illustrations (Hildebrand, 1991). Presumably, de Brunhoff and his wife were actually at the Grand Canyon, but what Indians did they see there? Was there really one called "Chief Sitting Bull" who was telling "hunting tales" and "the legend of the White Buffalo"?! Was he sitting on a drum? Was he barefoot?! 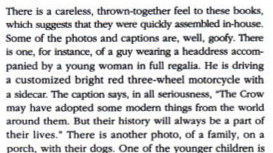 It is possible--but not likely--that de Brunhoff saw a "Sitting Bull" but this all strikes me as the imaginings of an outsider who was there but didn't understand what he saw. Rather than depict what he saw with accuracy, de Brunhoff turned to stereotyping when he created this in 1963. Why, I wonder, did that page go unchanged when the book was published again in 2008? Who, I wonder, edited the book at Abrams? 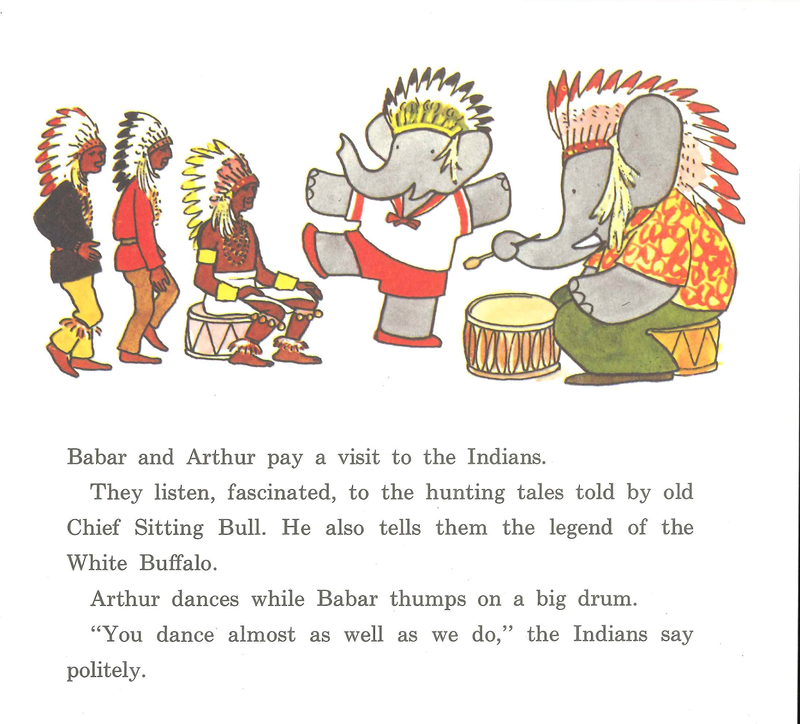 If changes can be made to Curious George playing Indian, I think they can be made to Babar Comes to America, too. What do you think? This is the second post I've done on Babar. 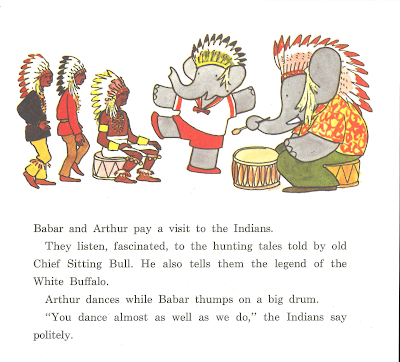 The first one was about Babar's World Tour.